Aqua Kem Green is the environmentally friendly version of a waste tank additive. It has a lingering lemon scent that lasts for up to 4 days. It reduces gas build-up, eliminates nasty smells and also breaks down solids and toilet tissue. To use, simply pour 150ml into a 20L waste tank. Add 2-3L of water to ensure optimum performance. 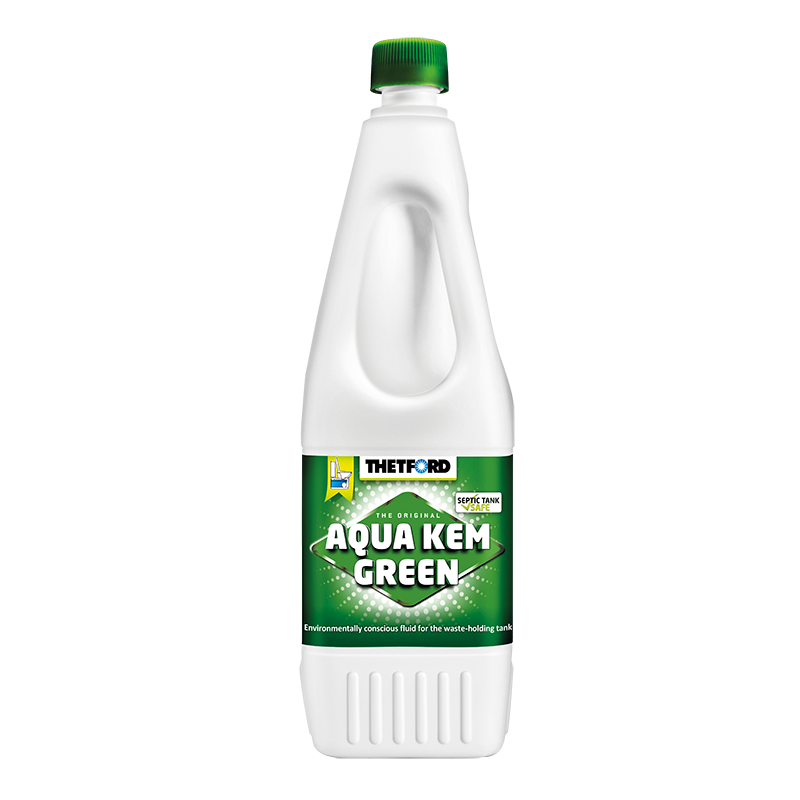 Aqua Kem Green is safe to empty into septic tanks (Test ISO 11734).